One of the most sought after results of time spent photographing is becoming a “better” photographer. What does that mean, though? How does one know if they are a better photographer than when they set out that afternoon? This article doesn’t cover those identifying markers, but rather examples of how image quality is dramatically improved when one makes a conscious decision to shoot film during at least some of their practice time. One of the biggest impediments to strong, or improving, image quality is rushing. You may not even realize you’re doing this, it’s built into so much of our contemporary culture – at least in the United States. We are trained from a young age to attempt to accomplish as much as we possibly can in as short of a time as we can; when we go out to create photography this tendency is replicated. Setting up a shot and triggering the shutter and then moving on once the back of our LCD screen looks exposed correctly. 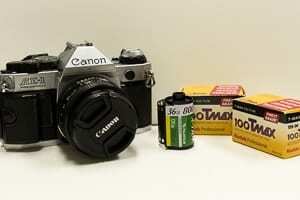 With film, there is a necessary slowdown that occurs. We can no longer shoot in a burst mode, having to wind after every frame. If you go pure analog (which this author feels you should), you no longer have high speed ultrasonic focusing motors, having to focus manually for every image. And the limits! Film has a limited number of frames in each roll. 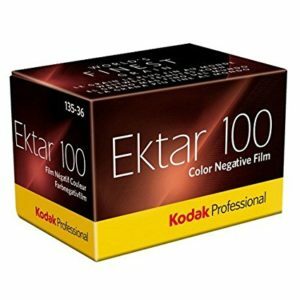 No longer can you shoot thousands of images in a row with no concern for changing memory cards, having to change out your film roll every certain number of shots. Film requires the user to have a much more active role in the photographic act, causing a natural slowdown. An additional slowing down that is a byproduct of shooting film is your mental approach to the shooting. I believe this to be mostly a fiscal consideration, though that may not appear to be the proximal cause. Your film will run out. You’ll have to purchase more (like this Ektar 100 film available on Amazon), wait for it to arrive, store it safely once it does, have a storage system for the negatives once they’re developed (most people have computers these days so storage for digital files doesn’t feel like an extra investment initially), and storage for any prints you decide to make or have made. These costs will undoubtedly be in your head every time you go to take images, which means every time you capture a moment in time, you will want to make sure that you are capturing the moment as perfectly as you can. You'll be thinking through how many rolls you have remaining, how many images you think that will allow you to take, and if you think it will be enough. These types of thoughts are less common in today's digital age, because memory card sizes are so large that one rarely has to be concerned with having enough space for what they are trying to photograph. I’m breaking these next two points into two separate ideas because I feel that shooting color versus black and white film challenge your perception in similar, yet distinct, ways. When you’re shooting black and white film, you look at your final images and you see a gradient. Properly exposed AND properly developed images will have a range of values (a zone system, as Ansel Adams described) that travel from pure black to pure white. Because of this, you will start to recognize contrast in subjects and situations more consistently. You will begin looking through your viewfinder and determining whether you think there is too much, not enough, or just the right amount of contrast for what you are trying to accomplish. This then informs the development phase and how intense you want the contrast filter to be on your enlarger, or how long you leave the print in certain chemicals. Related to point three, shooting and developing for a c-print (color print) will push the limits on how you interpret color in a scene. You’ll begin looking back on your images and recognizing what types of colors work well with particular types of film (or perhaps those that do not work well), as well as how those tones interact with each other. Since you (generally) do not bring color film into a program such as Lightroom, Bridge, or Photoshop to work with color channels, you begin to develop a sense of how to interact with these colors in the world. Even if your final intent is to do some digital manipulation via scanning the negatives, you will never have the same amount of control due to the lack of data you have in a scan as opposed to in a digital file. This may become daunting for some, but it may also be liberating and challenging! This point, almost more than all the others, is going to be a spectrum based on your personality as well as your development workflow. If you are the one going through the development phase (whether in your own darkroom or one that you have access to), you will find yourself learning in much more acute ways when you make a mistake. When you have full control over the process from shoot to final print, you will always be more invested in the work. Because of this, you may look at a final image and wonder why it looks so terrible! Or, hopefully, why it looks so amazing! You’ll spend a lot of time investigating your images as you see their final form. You’ll inevitably ask yourself how you can replicate that look, process, or interaction of light and camera. Unlike with digital files, we don’t have metadata to fall back on to view our settings. Because of this, you will find yourself keeping logs of your settings, bracketing images, experimenting with development processes, times, and chemicals, all to try and not make the same mistake twice (or maybe to replicate a beautiful mistake). It is also a good habit to find a lab that you are able to build a relationship with, if you are unable to develop your own images. You may want there to be creative freedom in the process, and not all labs will be open to such printing techniques. The more involved you are with every moment of creating your final print, the more you will learn about the photographic process technically and artistically. If you have ever had to deal with a lens whose calibration was just SLIGHTLY off, you know how essential it can be to feel comfortable with focusing manually. Getting a film camera that requires you to train your eye to analyze a scene through the viewfinder and focus for yourself will train this muscle, and boy will it train it fast! I was extremely nervous when I first started having to focus the lens myself. Many cameras have a center focal plane in the viewfinder that aids in focusing (the top half of the circle should line up/match the bottom half, and you have perfect focus). But your subject isn’t always centered! So you learn to rely on your eye far more than your equipment to get proper focusing. Now, when shooting digital, having a subject that fall on or near one of my focus points is helpful, but not essential. If I have a subject that I want to put on the extreme edge of the frame (I love doing this, personally), I am able to tune my focusing in myself, confident that I will achieve a sharp subject using just my eyes. The goal of most photographers is to eventually get everything right “in camera”. They want to become so proficient that their confidence boils over and they can spend their entire time working with the subject – whether landscapes, portraits, fine art, product, whatever their love is. The single most effective way to learn to get your settings right, is to remove the power of digital manipulation and correction. Pull away the crutch of Lightroom, Photoshop, Capture One, or any other program you use, and suddenly you have no choice but to get better. This final point is the culmination of the previous steps. Everything leads here. When you shoot film, what you are really saying is that you are so dedicated to the craft of photography (regardless of status of hobbyist, professional, or other) that you want to rely solely on yourself to get better. No digital manipulation, no highlight or shadow recovery sliders, no white balance adjustments after the fact. You are saying “Photography is important, it matters to me, and I will be as skilled as I can be”.